If you know me a little bit, you know I love a good burger. 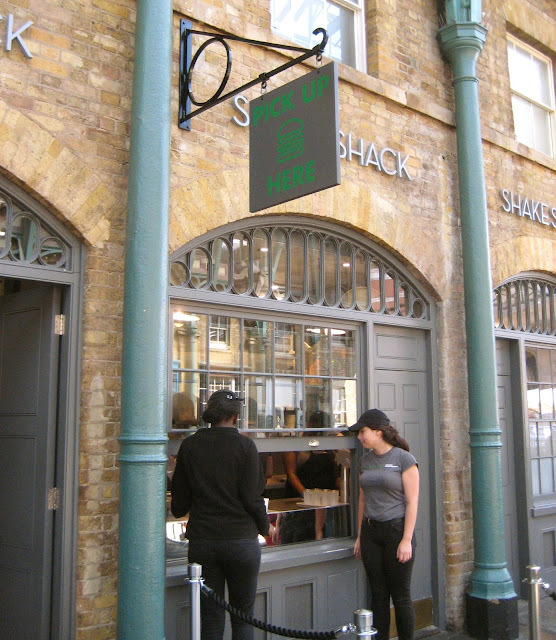 So when I heard the oh-so-popular American Shake Shack was coming to London, I couldn't wait to try it out. The first chance I got was last week, so as soon as it was lunch time I headed for my mission. Thankfully you can check out the menu while you queue and get a little excited about what you'll be having. To my surprise, there were even some dog treats on the menu, like red velvet dog biscuits (what?!). Check out the full menu here. The kitchen was buzzing and filled with people trying to keep up with the orders. I was amazed at how many people were working in such a little space! After ordering and paying, you get this little buzzer which starts buzzing whenever your order is ready. Mine took about 5 to 10 minutes. The fries were very crunchy, just how I like it. The burger was quite good, but I was really missing some salt. It's like they forgot to add salt? I'm not sure if this is normal, or maybe it was just me. Anyhow, this minor issue was quickly fixed with a little extra salt and pepper. 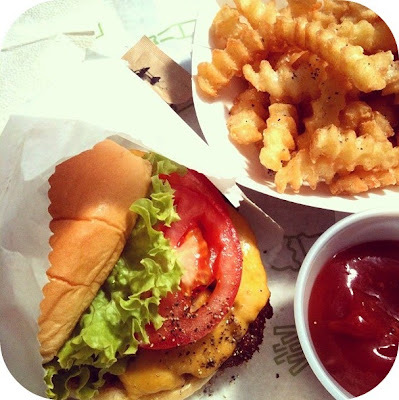 Overall, I think Shake Shack is great for a quick and tasty burger. Another burger joint to land in London, what's not to love?